Hello Pretty Providence readers! 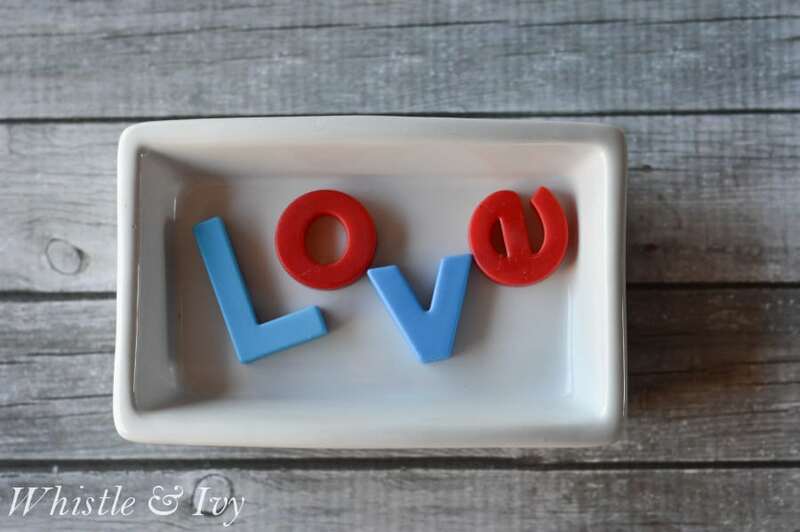 I am Bethany and I blog at Whistle and Ivy, and I am so happy to be guest posting today! I don’t know about you, but I am a tad cluttery. I have tried for years to be neat and tidy, but I have resigned myself to the fact that I am messy, and I might always be messy. The best way I have found to be a bit better is to keep bins and baskets around to keep the clutter contained. That’s one reason I love today’s post. 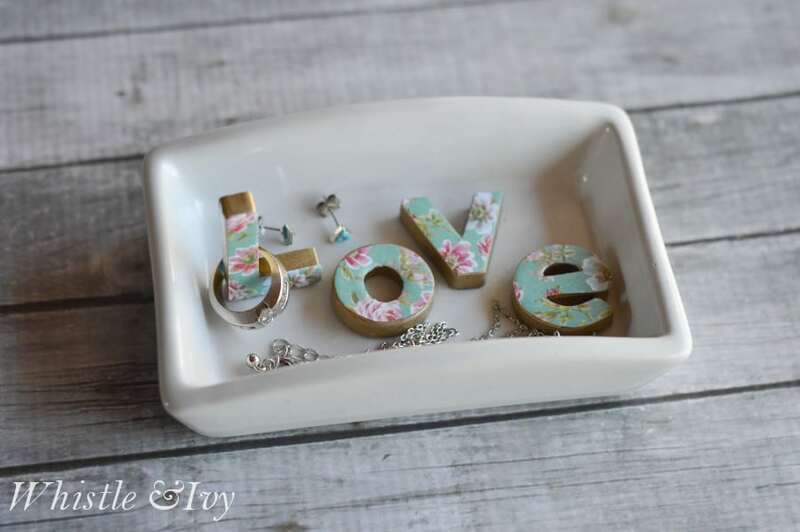 This DIY Trinket Dish is the perfect (and oh-so-pretty) place to stash my rings, earrings and other jewelry. I can keep it right by my bed where I take them off, because I know I’m not getting out of bed and walking across the room to my vanity (yikes, I know). Even if you can’t understand my laziness, I still think this sweet trinket dish is a useful and pretty project. I love the result and I love how easy this project is. 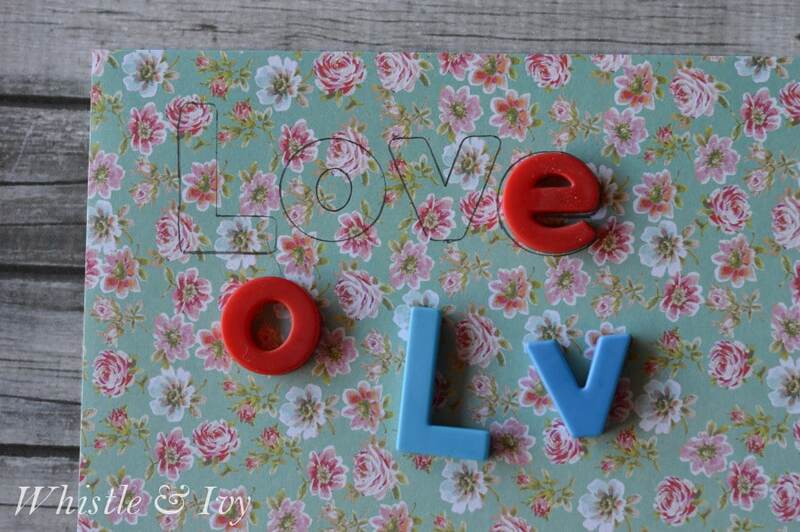 If you have some of these letter magnets lying around, perfect! If not, you can pick these up at Walmart. The Boy is starting to sound out words and has been having a blast playing with these, so it was a “two birds with one stone” kind of thing. I found this soap dish at a thrift store for $.50. There were SO MANY there, so I am fairly confident you can find one near you as well. Start by cutting the paper to match your letters. I traced around the letters with a pencil, but I couldn’t get my pencil line right up to the letter, so I had to trim the paper a bit after cutting it. Next, gild the edges of your letters. I used the paint marker, which proved to be a tad tricky when I tried to get in the corners and insides, so I bet spray painting them would be easier and quicker. 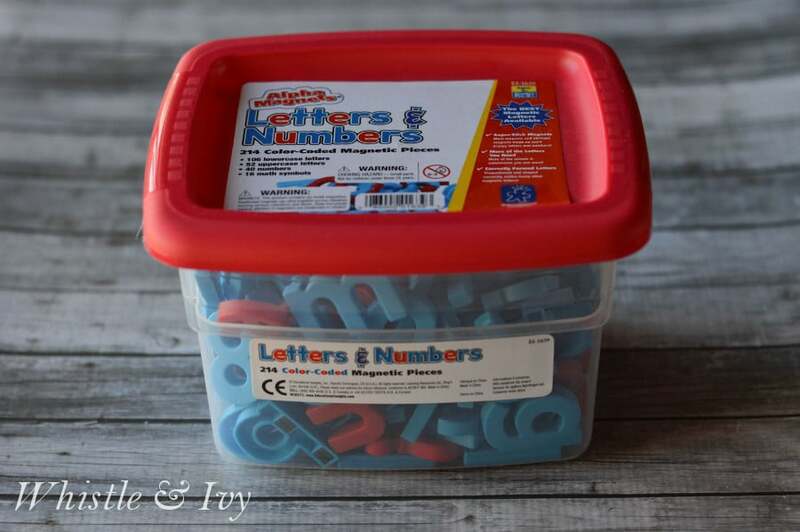 When your paint is dry, Modpodge the paper letters to the front of your plastic ones. Make sure to apply glue to the paper as well as to the plastic for the best result. Add a topcoat of Modpodge as well. Finish by super gluing your letters inside the dish. I tried hot glue at first, but it proved to have a finicky hold, so I would suggest super glue instead. 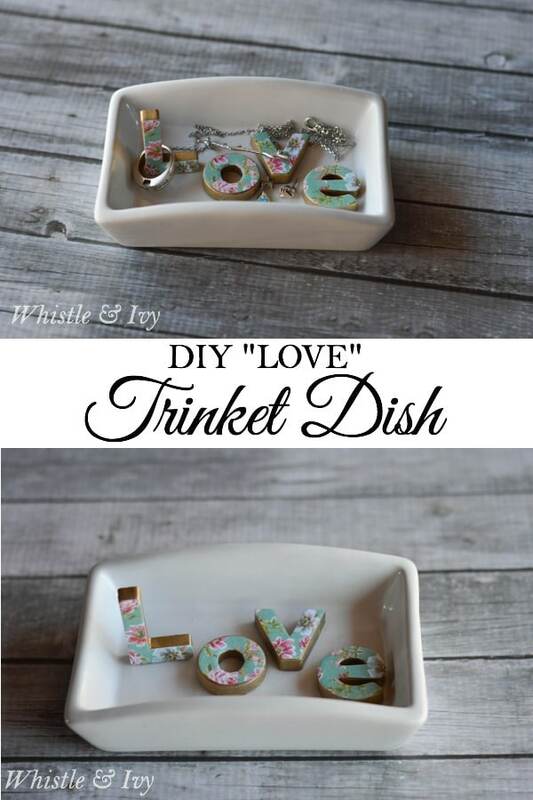 I hope you add this trinket dish to your weekend project list! It came together so nicely, and I love the finished product. Don’t miss any of my posts! Subscribe to my weekly updates here. I absolutely love this dish! Great repurpose of the plastic letters, too! 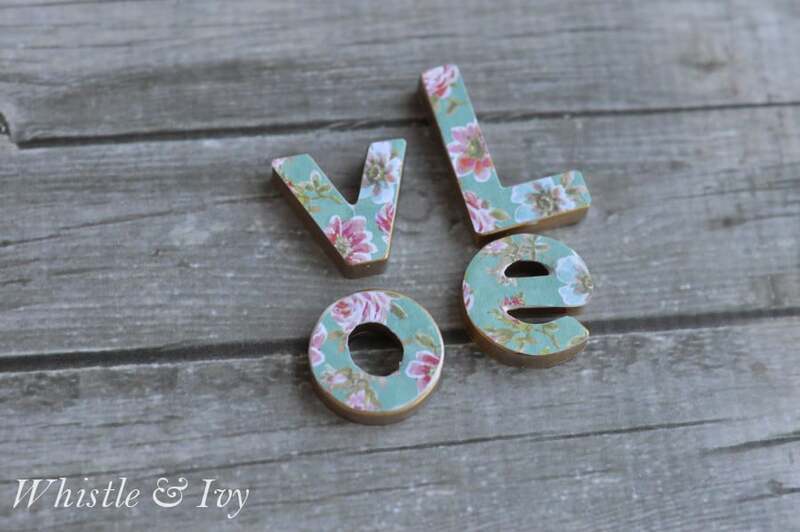 This totally looks like something I could do, even though I’m not crafty! 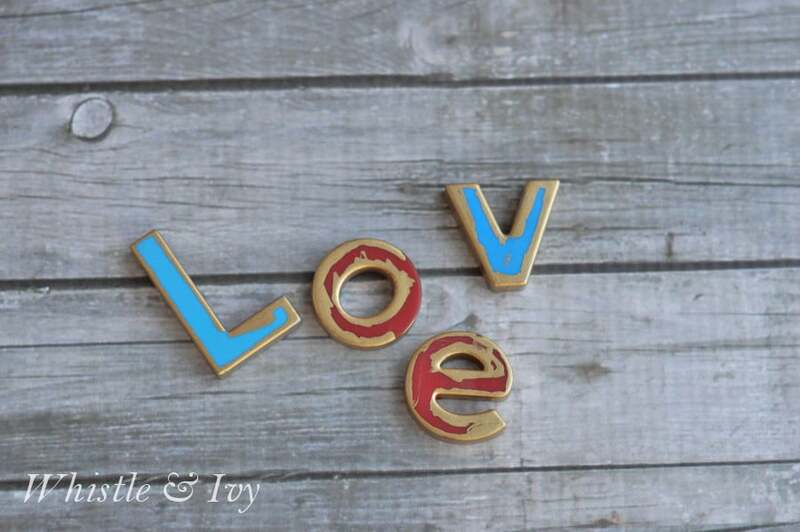 “Love” it.